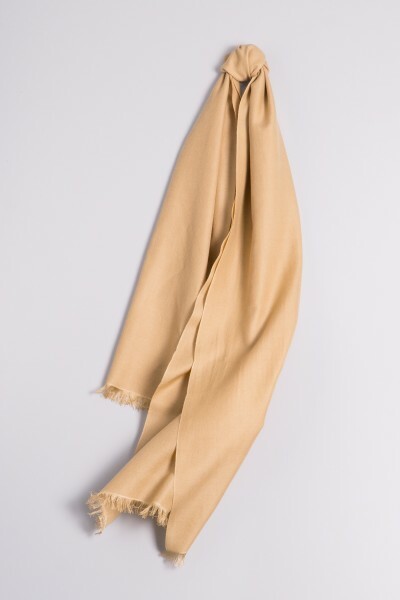 Product information "Pashmina 45x180cm sand"
Your favourite products in a new form – the Pashmina midi (45 × 180 cm) in a classic blend: 70% cashmere and 30% silk. The slender shape ensures an elegant appearance. The closed weave of the fine, smooth fabric and the silky appearance are sure to leave you feeling pampered. A special detail is the open fringe. Related links to "Pashmina 45x180cm sand"